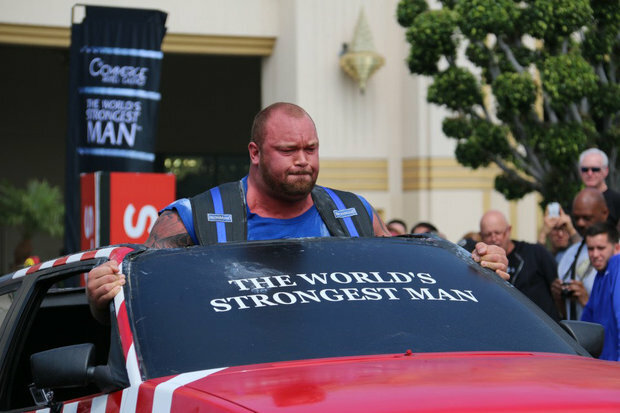 HULKS of men will go head-to head tonight to try to win the crown of World’s Strongest Man 2016. What is it?Ten heavyweights will lift, pull and push their way through challenges in a bidto be named the strongest of them all.This year’s competition is being held in Botswana and broadcast from the Chobe national park. Why should I care?The competition is theultimate test of strength on the planet and sees the finalists go through some gruelling challenges.The most demanding will be pulling a 40 tonne C130 Hercules plane. If that’s not enough then you can witness the man cast as The Mountain in Game of Thrones. Hafþór Björnsson from Iceland is among the 10 looking to claim the title.